Now, I always buy individual eyeshadows, but find myself never using them because I can’t figure out how to make them work together. This is where eyeshadow palettes save me. I also love how portable these palettes are. I toss them in my bag and I’m good to go. So much better than carrying multiple shadows. Overall, I really do like this palette. The colors look great together and compliment my skin tone. Here’s a pic from my Archie’s Girls makeup appointment. 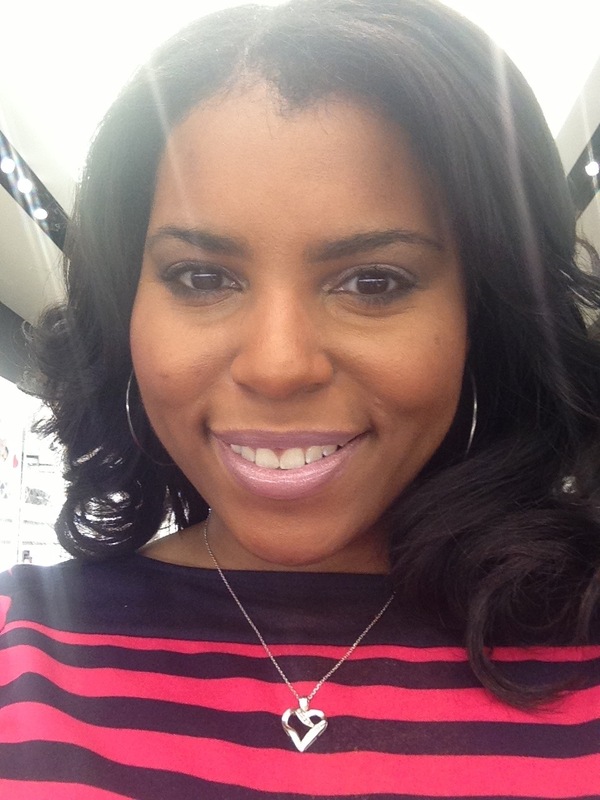 The color on my lips is Nicki Minaj’s Viva Glam 2 lipstick and lipgloss and I LOVE IT!!! Please excuse the caterpillars on my face also known as my eyebrows LOL. I believe this palette was $42. 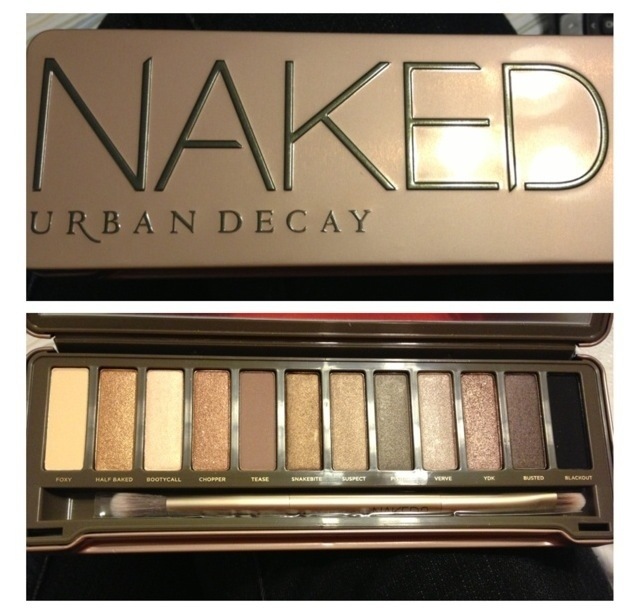 The next palette I purchased (and been wanting forever) is Urban Decay’s Naked 2 palette. A couple weeks ago Urban Decay’s site had 20% off everything and I couldn’t pass up that deal. The palette is normally $50, but with the discount it was $40. Good deal for 12 eyeshadows. 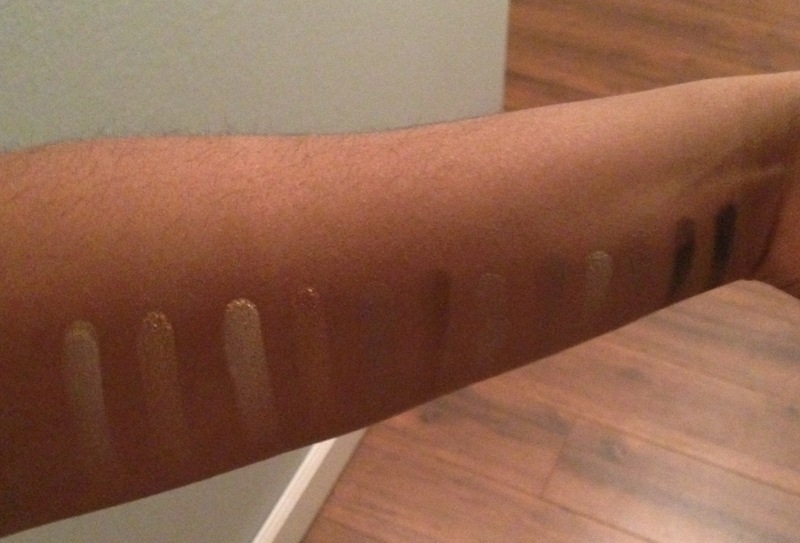 Selecting the right Naked palette for me was so difficult. The original Naked and Naked 2 are both gorgeous, so before purchasing I went to Sephora to try the colors. 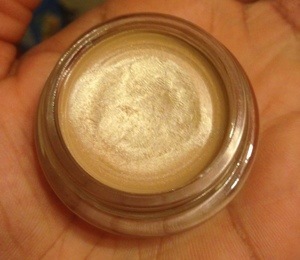 I love browns, golds and neutral colors which is why I chose Naked 2. 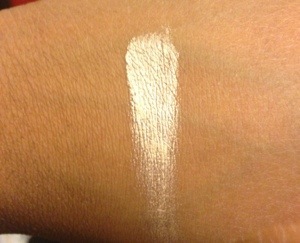 I could definitely wear these colors everyday.The palette also came with a two-sided brush. 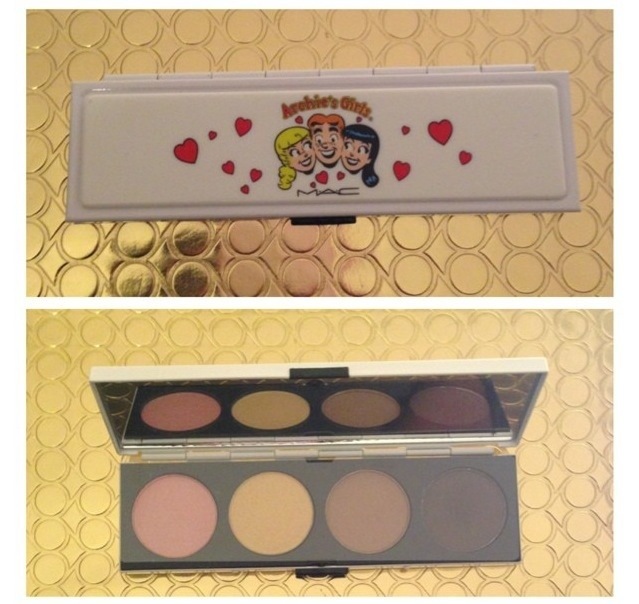 Here’s a pic of my coveted Naked 2 palette. The colors from left to right are: Foxy, Half Baked, Bootycall, Chopper, Tease, Snakebite, Suspect, Pistol, Verve, YDK, Busted, Blackout. My favorite colors are Half Baked, Snakebite and YDK. 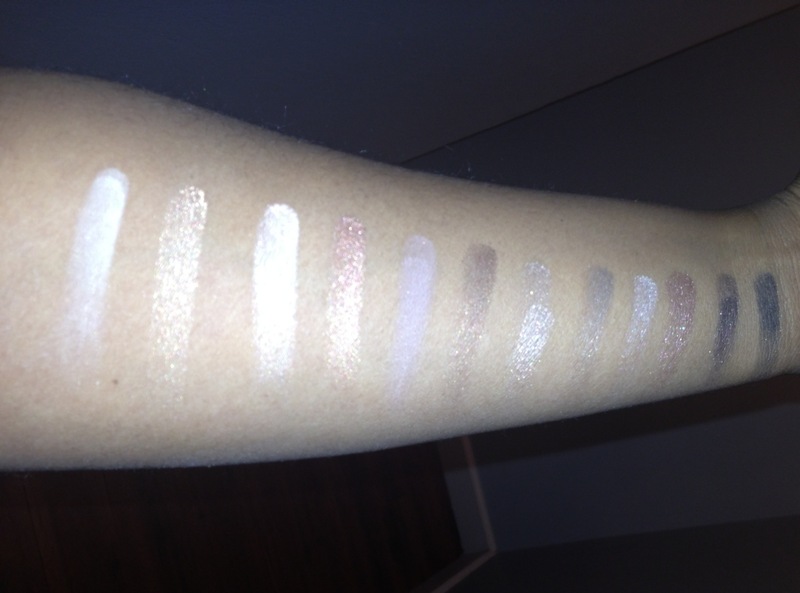 Swatches of the colors with and without flash. 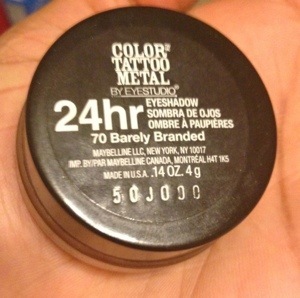 Since I don’t have an eyeshadow primer or paint pot *gasps*, I’ve been using Maybelline’s Color Tattoo in Barely Branded. I picked this up from Walmart for $5. I love the wear of this product and you can’t beat the price. Overall, I really love these purchases and I think my money was well spent.